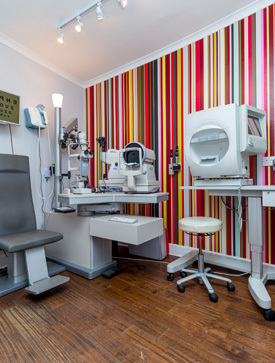 Zacks Eye Clinic is a multi award winning, state of the art, independent opticians located in central London W1. The practice is equipped with the latest, hi-tech imaging equipment and optical laboratory to provide specialist services. Our highly qualified opticians specialise in eye examinations, all types of contact lenses for all age groups, orthokeratology and dyslexia eye sight tests. Our frame stock includes high quality fashionable eye-wear from the worlds finest boutique spectacle designers and bespoke, made to measure glasses are available for those who appreciate exclusive design and precision craftsmanship. Our team of specialist opticians pride themselves on the best possible visual correction and thorough care of the eyes. The philosophy of the company is to provide a first class, comprehensive service. Our opticians are encouraged to attend the most important international conferences to ensure that their knowledge is up to date and that our products and services are the best available for our patients. We rely on referrals and recommendations with many of our patients travelling long distances from elsewhere in the UK or abroad. Zack Contact Lenses, established in 1968 by Maurice Zack, led the profession for over five decades in contact lens research and development. The practice incorporates W Johnson’s Opticians (est. 1801) which held a Royal Warrant for the supply of spectacles to Queen Victoria and displayed the first bifocal lenses for general prescribing at the Great Exhibition (1851). In 2006, Jonathan Cohen founded Kings Cross Eye Clinic and won two prestigious Optician awards in his first year of trading. 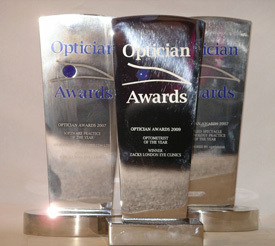 In 2007, he merged with Zack Contact Lenses of Fitzrovia forming Zacks London Eye Clinic and was subsequently awarded ‘Optometrist of the Year‘ at the 2009 ‘Optician Awards‘. 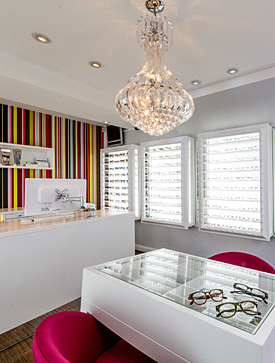 In January 2011 Zacks eye clinic took over the patient records from Eyes For You Opticians, a boutique dispensing practice in Mayfair (South Molton Street, London W1). The combination of historical innovation, specialist services and dispensing excellence ensures Zacks eye clinic remains one of the UK’s leading independent opticians. Zacks has supplied eye care advice, cosmetic contact lenses and spectacles for numerous productions of stage and screen including Four Weddings and a Funeral, Gandhi, Batman and Prime Suspect.